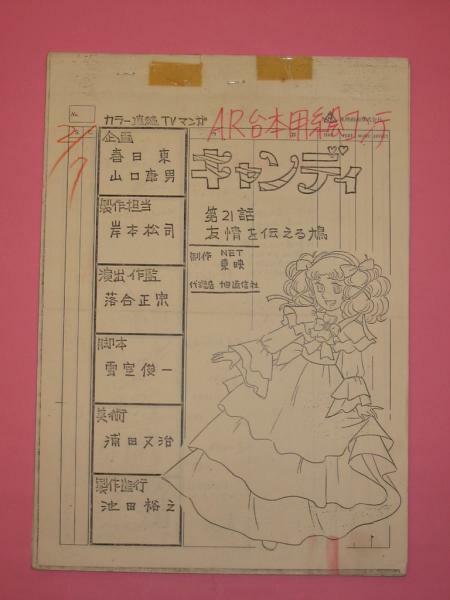 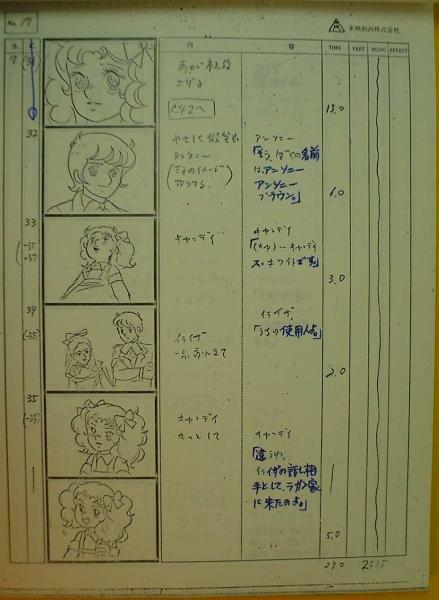 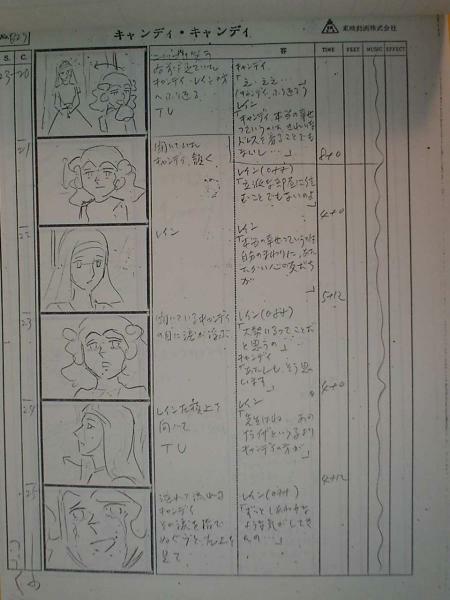 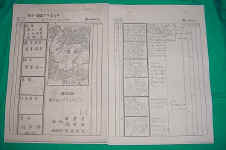 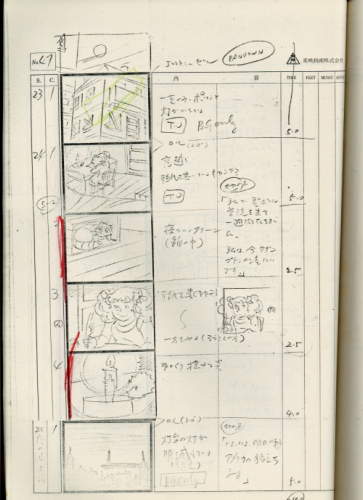 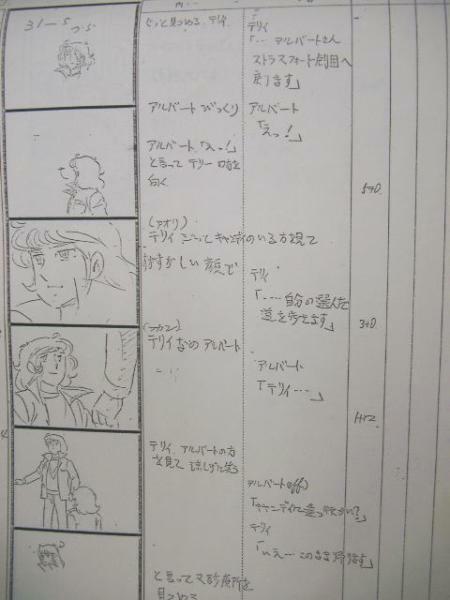 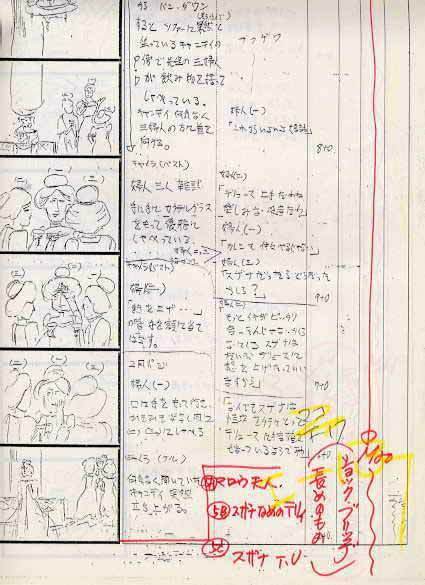 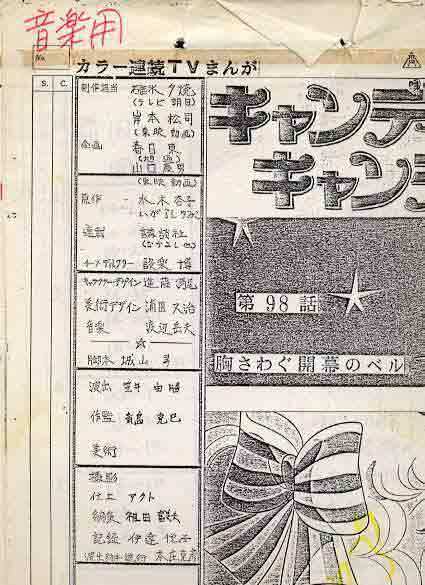 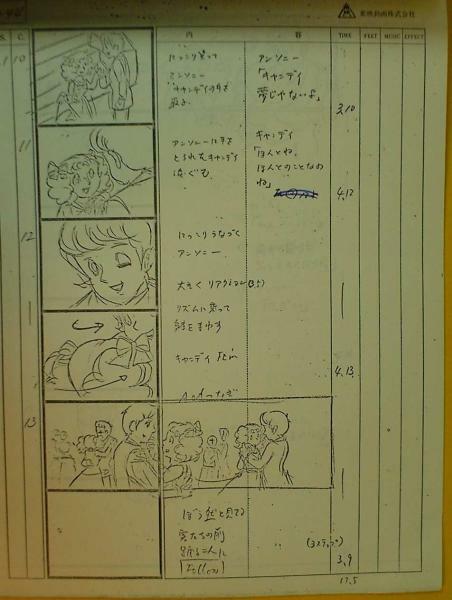 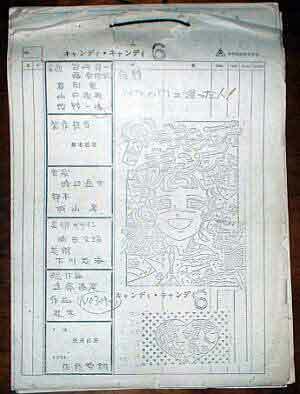 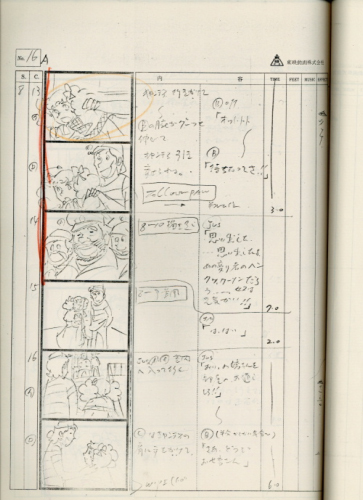 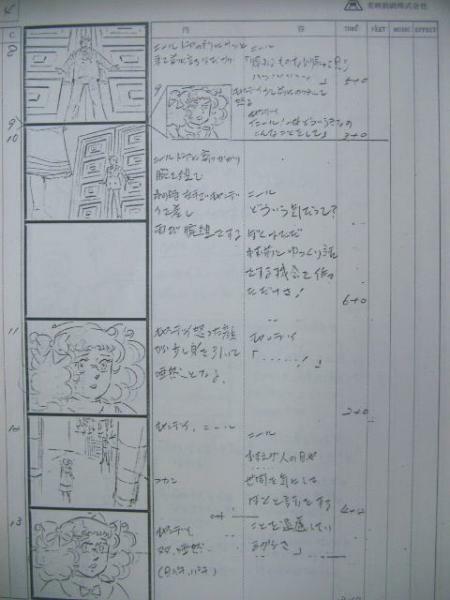 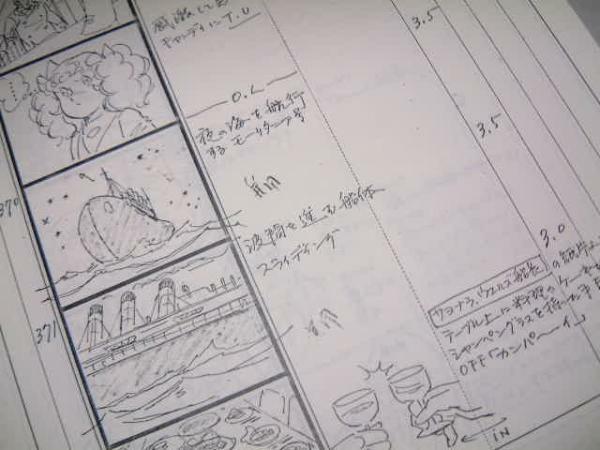 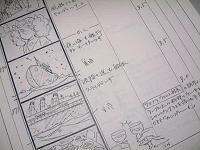 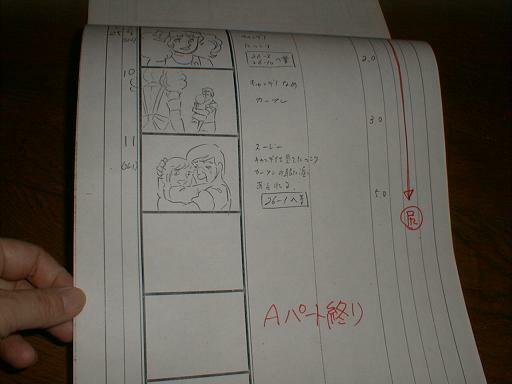 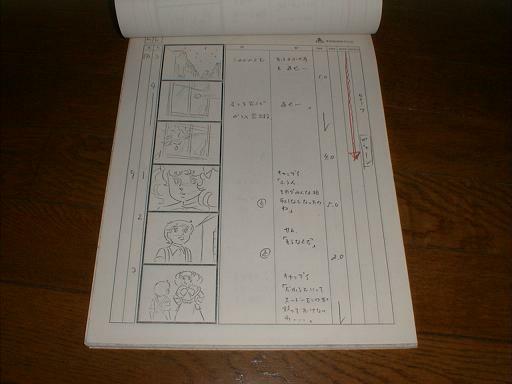 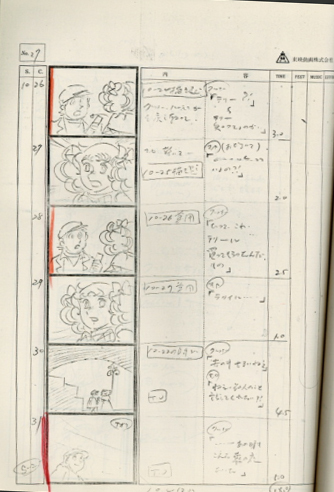 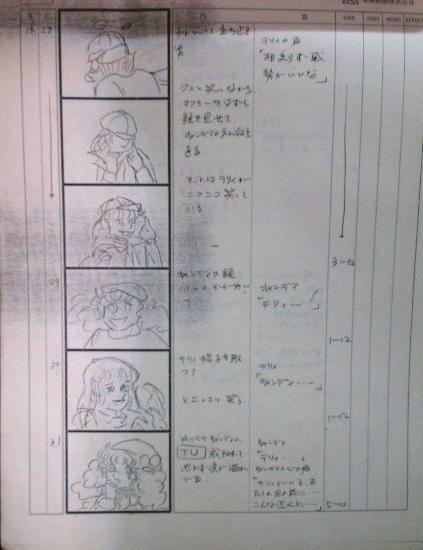 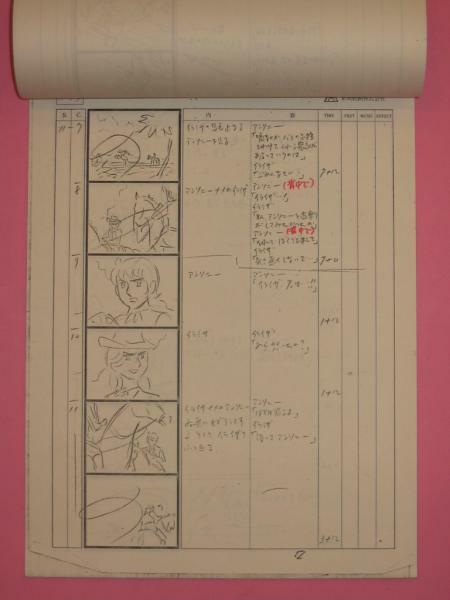 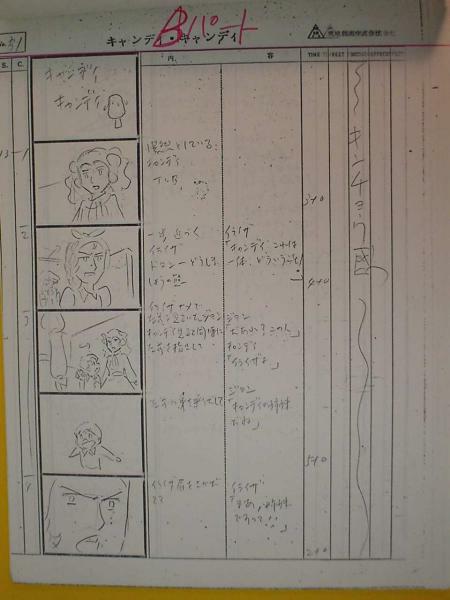 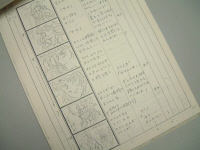 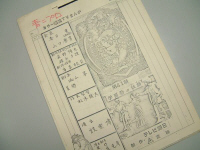 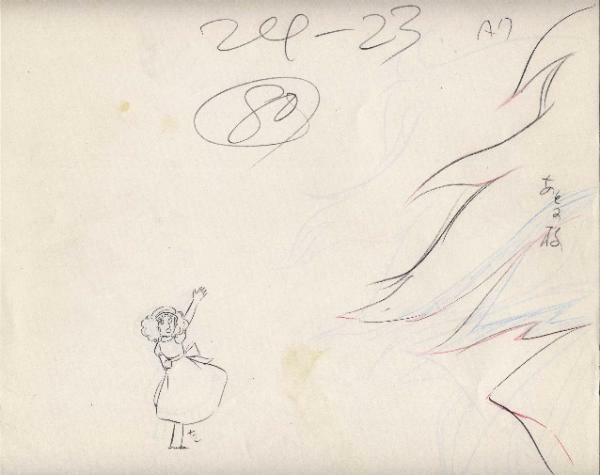 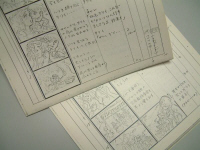 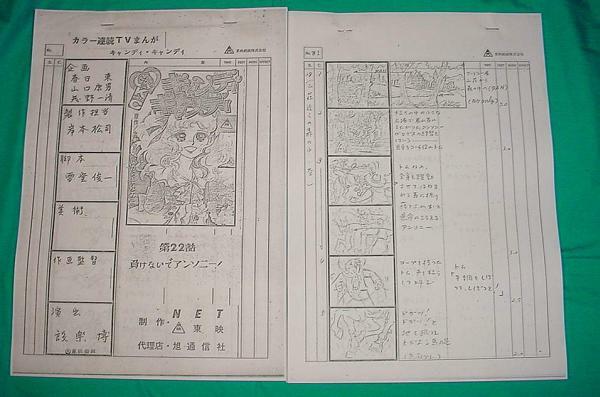 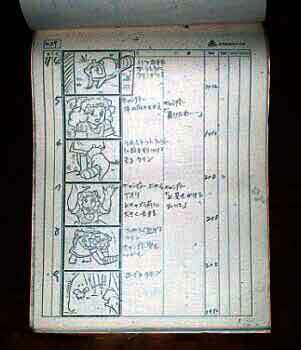 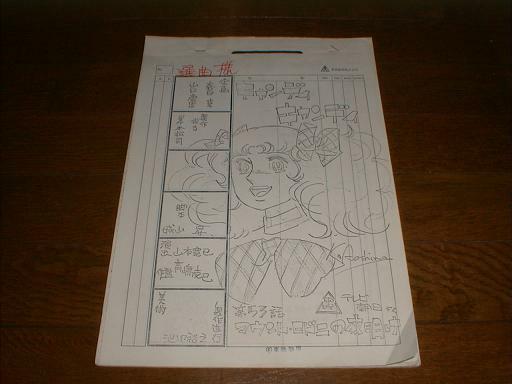 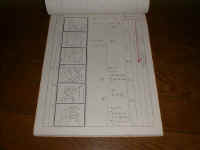 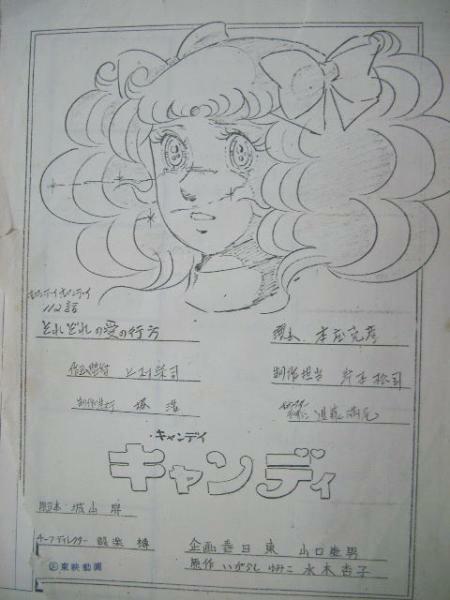 The storyboard is a kind of comics that describe every scene, every shot, every shooting, the location of the characters, etc... You'll find then below some storyboards of the anime. 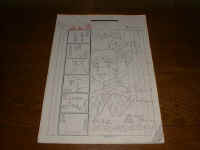 What is inside is just a few samples because I do not own them unfortunately, but it will give you an idea what it looks like. 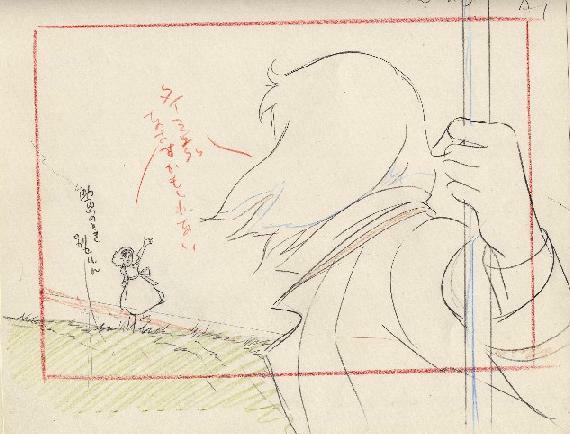 Episode 06 - "The person I met at the rose gates"
Scene in which Candy must bring herself to abandon Klint, and ties him to a tree. 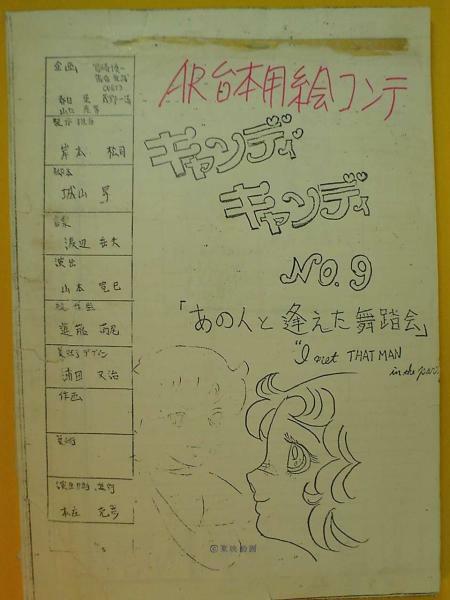 Episode 09 - "The dance where I met Him"
Cover that illustrates the episode in which Candy meets Anthony at the Andrew's party. 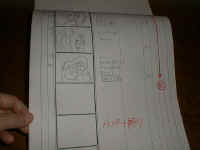 Episode 10 - "The barn princess"
Episode 21 - "A pigeon that carried friendship"
Episode 22 - "Don't give up, Anthony!" 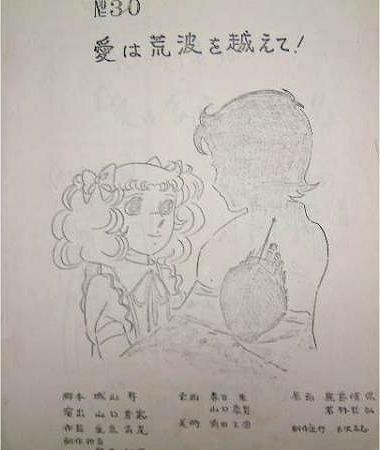 Episode 30 - "Love transcends raging waves"
Cover that illustrates the scene in which Candy thinks seeing Anthony on the deck of the boat. 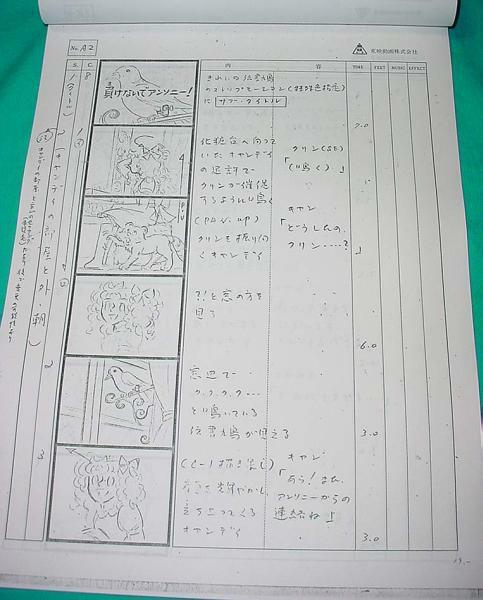 Episode 41 - "Fairy of the school festival"
Episode 53 - "The dawn at Mount Rodney"
Episode 80 - "A moment of reunion"
Episode 92 - A love-shock therapy"
and Episode 79 - "The shadow under the spotlight"
Albert is on cover of the Episode 92's storyboard, and Terry, in epiosde 79, is wearing a beautiful costume for his theater performance in Chicago. 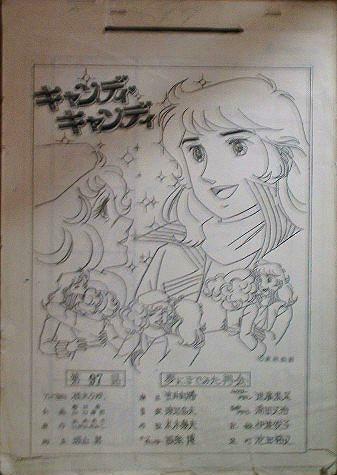 Episode 97 - "The long awaited reunion"
Cover that illustrates the wonderful episode of Candy and Terry's reunion!!! 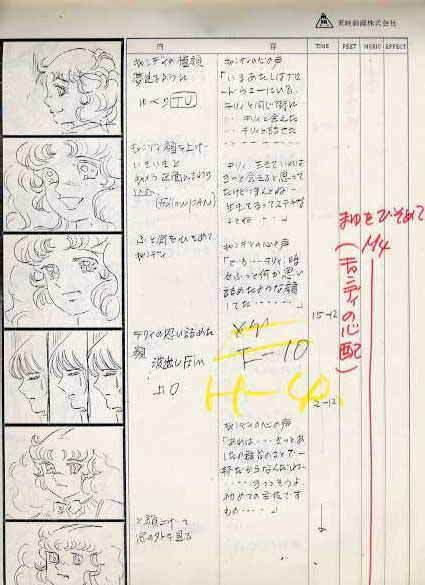 Episode 98 - "Heart-racing curtain rising"
Episode 110- "The troublesome love"
Episode 054 - "Night Fog at the Port of Southhampton"